Steelworks Museum will be exhibiting the stories and history of the Minnequa University Club with an opening in May. Do you have items from the Minnequa Club? Photos and papers can be donated, scanned or copied and memorabilia donated or loaned. 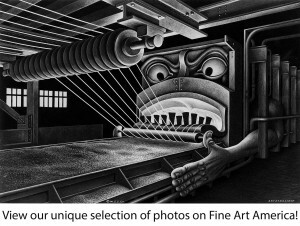 Contact our Museum Curator, Victoria Miller at 719-564-9086, ext. 108 or victoria.miller@steelworks.us. 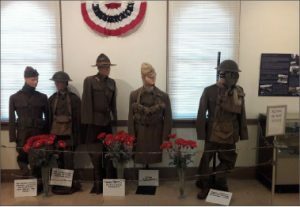 Lest We Forget: Pueblo Remembers the Great War, is an exhibit happening now through April exploring the history of World War I and the Puebloans who served. The traveling exhibit from the Pueblo City-County Library District features artifacts courtesy of Clyde Cremer and a poster courtesy of Bob and Laurel Campbell. 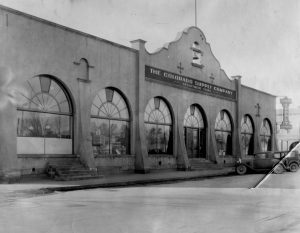 For more than 50 years, the Colorado Supply Company operated in Pueblo just a few blocks west of the CF&I steelworks and managed branch outlets in the company mining districts. Offering items for sale including clothing, pharmacy, hardware, groceries, baked goods, and a newsstand, the store served as a “one stop shop” for employees and their families. 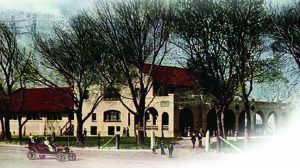 The exhibit highlights the history of the store using collections from the Pueblo County Historical Society, Steelworks Center, and private collectors, and features dozens of 3-dimensional 1920s and 1930s period pieces similar to those sold in the store.